Lexus is widely expected to unveil its next-generation IS sedan in the relatively near future. Hopefully, a high-powered IS F variant is also part of the mix. We’ll see. In the meantime, there’s been plenty of speculation regarding what will be under the sedan’s hood. 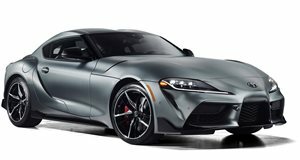 The Japanese language Best Car now claims Toyota wants to use the new Supra’s turbocharged twin-scroll 3.0-liter inline-six engine for that purpose. It produces a total of 335 hp and 365 lb-ft of torque, which would be more than adequate for a sedan like the IS. Thing is, Toyota didn’t build that engine. Neither did Lexus. 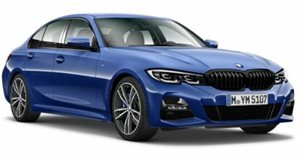 BMW did, and the IS just so happens to directly compete against the 3 Series. Again, this is merely a rumor and we’ve reached out to both BMW and Toyota seeking comment. We’ll update this space accordingly if we receive replies. This actually isn’t the first time we’re hearing about what will power the next IS. Previously, we learned that Lexus has three other engines planned – a 2.0-liter turbo four, 2.4-liter turbo four, and a 2.5-liter hybrid. Not all engines will be offered in every region, of course, but given that Lexus already has a number of powerplant options, we’re honestly a bit surprised to hear it’s rumored to even be considering the Supra’s inline-six. But the engine we’d like to see most in the new IS is the 3.5-liter twin-turbo V6 with over 400 hp found in the latest LS 500 flagship sedan. 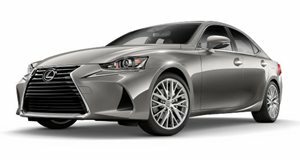 That would automatically position the Lexus against the latest generation 3 Series, specifically the M340i and its 382 hp and 369 lb-ft. Oh yeah, it also has a turbocharged 3.0-liter inline-six. Now you see why (if you didn’t before) we’re challenging Best Car’s claim? Toyota has proven time and again it’s fully capable of developing fine engines. The main reason why the Supra uses a BMW powerplant was to save money. Sports cars like the Supra and Z4 aren’t exactly the biggest money makers these days, and both automakers realized teaming up for the project was the smart and financially justifiable way to go.